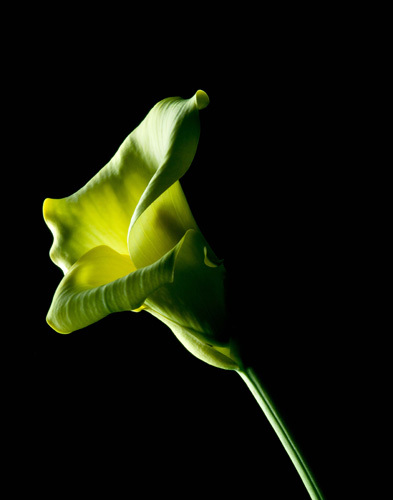 College of DuPage Photography student Joanne Barsanti presents her solo exhibit “Flowers with Attitude” at the historic Calmer House Gallery at 352 Union Street in Joliet, IL throughout the month of November. The Artist’s Reception will be held on November 11, 2012 from 3 – 6 pm. The public is invited to this family-friendly event, and refreshments will be served. “Flowers with Attitude” represents an exploration in shadows and shapes. Joanne drew on her love of botanicals for her subject matter, and used light-painting to bring out human characteristics and animal forms from such exotics as orchids, lilies, and bromeliads, as well as native plant life.